The hallmark feature of CashFlowTool is the breakthrough, industry leading forecast capability, that lets you see your future cash flow in three easy to use views. Powered by Finagraph's patent-pending CashLearn™ AI technology, it predicts the future with confidence, so you can understand your current and future cash flow situation. 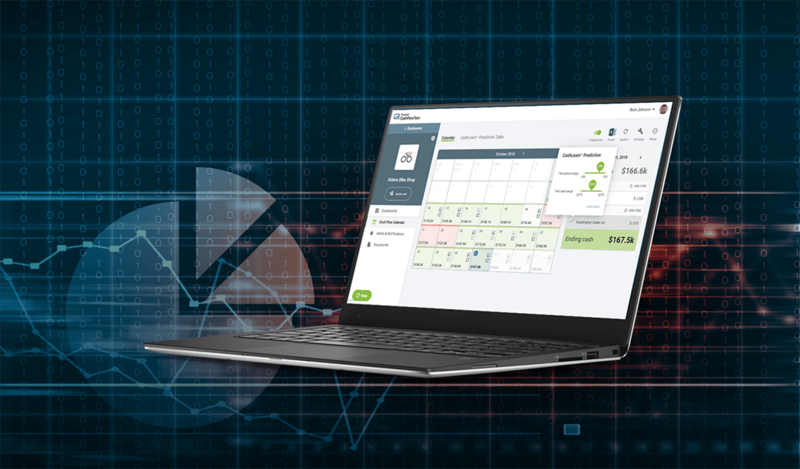 CashLearn™ is used to predict your company’s future cash inflows and outflows automatically using your historical QuickBooks data. The tool integrates with both QuickBooks Online and QuickBooks Desktop. 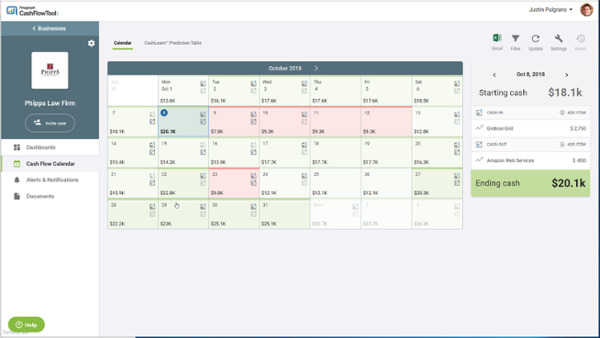 Cash Flow Calendar – a daily, calendar view heatmap that displays shades of green for positive cash balance days and red for any forecasted cash flow shortfalls. In this video, we will show you how to use CashFlowTool to predict your business’ future financial health. We go through an in-depth review of CashFlowTool’s forecast and prediction capabilities, including how to read and make adjustments to the forecast in the views listed above. Justin leads Finagraph’s Accountant channel – helping accountant’s use Finagraph's CashFlowTool product to introduce new advisory services (cash flow management, forecasting and planning) and revenue streams into their practice.